Even when input devices use different resolutions, internal scalers perform automatic conversion to the optimal resolution. The built-in scalers also let you expand and reduce video and still images however you like for perfect framing. 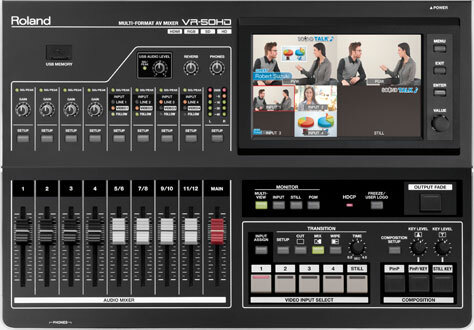 The VR-50HD features an HDCP mode that lets you input and switch commercial digital video from sources such as Blu-ray discs or game consoles encoded using HDCP digital copyright management technology. 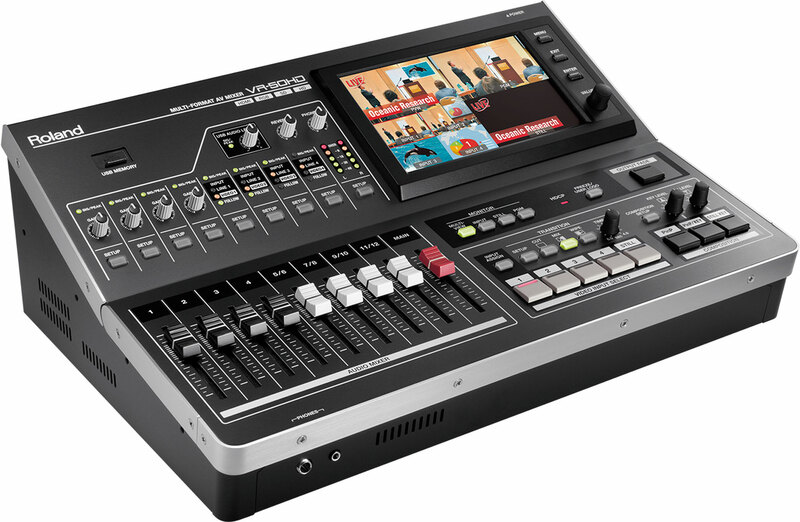 This is a multi-format AV mixer that you can count on to handle whatever material turns up on-site. *In HDCP mode, only HDMI output can be used. Use of SDI, RGB/Component, Composite, analog audio output is not possible. *Commercial use of content requires the permission of the copyright-holder. The USB 2.0/3.0 output enables web streaming with ease by simply connecting to a computer running a live streaming service. Recording is equally simple by using QuickTime or the dedicated Windows/Mac capture software, the Video Capture for VR. The video format is up to 1080/59.94p through USB3.0 and up to 720/29.97p through USB2.0. The resolution and frame rate of video format and audio level and delay can be changed thanks to the dedicated scaler and the dedicated volume and delay for the USB output. See the current VR-50HD Streaming Software Compatibility list for more information on streaming software compatibility. * Note: Certified USB3.0 cables are required when output is set to 720p or higher.